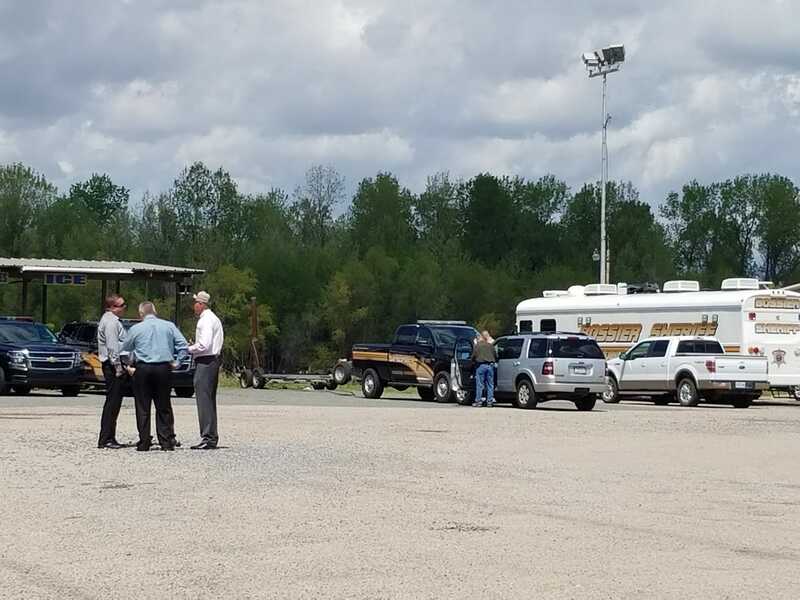 Courtesy of the Bossier Parish Sheriff's Office | Bossier Sheriff Julian Whittington and deputies at the Cash Point RV Park, where deputies have been launching boats for the last few days searching for a missing mother and son. Bossier Sheriff Julian Whittington confirms two bodies were found in the Red River Thursday morning around 9:30 about 12 miles south of the Highway 2 bridge in Plain Dealing. Deputies have been working 14-hour days for the last two weeks trying to locate Jennifer and Coty Wilson, a mother and son who are believed to have jumped from the Highway 2 bridge two weeks ago. Their abandoned vehicle was found in the middle of the bridge March 15. Detectives confirmed there was a note from Jennifer in the vehicle and another note from Coty at another location, both which appear to be written as “goodbye” notes. The Bossier Parish Coroner is working to determine identity and cause of death.